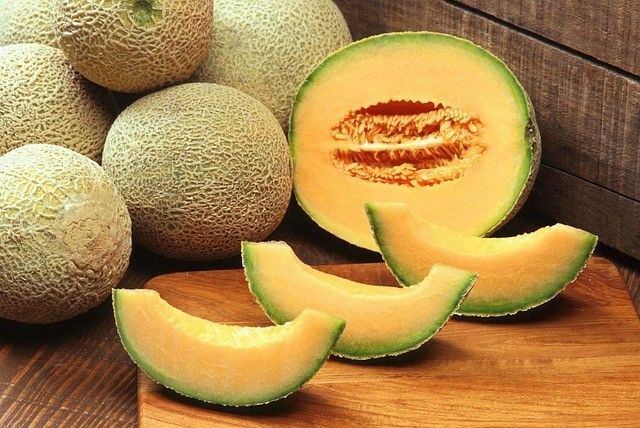 By the end of the 19th century and until the 1930s, Quebec was well-known for it’s Montreal melon which was sold at a hefty price in all North-Eastern USA, and found only in the finest restaurants. The Montreal melon was notably large (approximately 6 kg) with pale green flesh and a spicy nutmeg taste. It was typically grown on the South side of Mont-Royal where it would benefit from fertile grounds and good sunlight. Unfortunately, urban development in the 1950s, which transformed these fields into residential zones, as well as the competition from other melons that were easier to grow, eventually led to the disappearance of the Montreal melon in our markets. In the past few years, amateur gardeners have started to grow it again in a community garden in Notre-Dame-de-Grâce, but production has proven to be far too small for all to enjoy. Be that as it may, I encourage you to take advantage of the local production of melons which is at its highest peak in the season. In addition to the classic Prosciutto and Melon, try this week’s Shrimp and Melon Salad à la Thai. Bon appétit! Originally published in the Journal de Montréal on September 5, 2009. Very interesting: I had heard about the mysterious Montreal melon, but did not know where to find it. Do you know in which NDG community garden I could actually see it? We found the mysterious Montreal Melon at NDG’s Phoenix Community Garden. Here is a photo that our Edimaster took, but as you can see, she arrived too late to see the plant with the fruit – it had sadly already been picked.